Shopping for furniture for your new apartment or home? 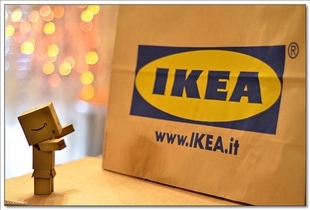 Ikea and Crate & Barrel may just be the best options around for your money. The favorites of anyone and everyone from young professionals to established homemakers, these two stores embody the ethos of quality merchandise at affordable cost like no other stores can. Which one is the best for your needs? Let's take a look! From a stylistic sense, Ikea and Crate and Barrel cater to pretty much the same crowd, although there are marked differences between each. Ikea is of a decidedly Scandinavian bent, with crisp, clear lines that somehow seem to blend tradition with ultra-modernity. Crate & Barrel for its part is somewhat "homey-eclectic"–if that makes any sense–with many of their products being influenced by various cultures from around the world. 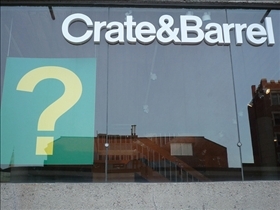 Indeed, Crate & Barrel seems to hop from style to style while maintaining a distinctive feel to its product line. One thing that endears Ikea to so many people is that the company retains many if its earlier products in their selection. For customers that spent their first paycheck on Ikea furniture, the fact that many of their well-loved pieces are still available is more than enough reason to keep coming back. How many times have you stumbled on a good make of furniture only to have it discontinued a year later? Although Ikea does drop certain lines in order to make room for new ones, there's a good chance that the same model of the picture frame or chair you bought fresh out of college is still available. Of course this also means that Crate & Barrel has a slight edge when it comes to providing fresh, new items and product lines. If you are looking for a something a little out of the ordinary but you don’t know what it is ‘til you see it, Crate & Barrel may be a better option for you. Crate & Barrel is just a little bit more expensive than Ikea, which is to be expected given its more stylish and trendy slant. Here is where you want to go for elegant glassware, dining ware and kitchenware, so you will obviously have to pay a little bit more for the quality. In spite of its cheaper price however, Ikea does have a reputation for quality and durability, so it definitely offers good value for your money. Which style of furniture blends in with your style best?